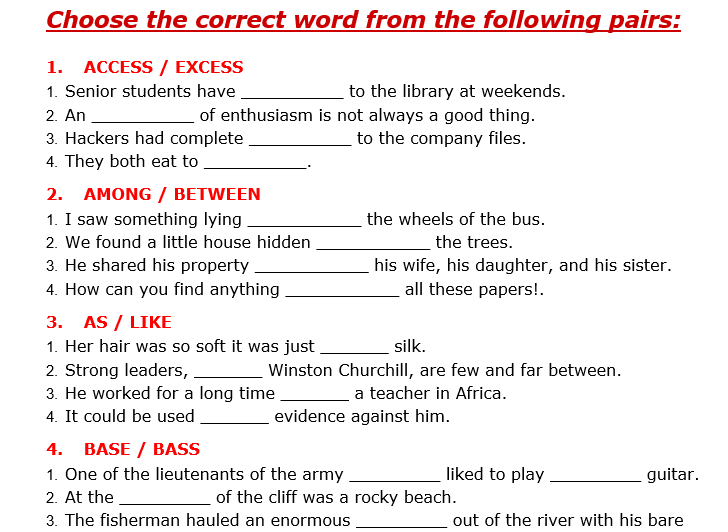 This worksheet contains 40 exercises to practice on confusing words. 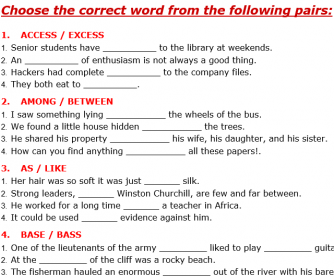 Homophones, verbs vs. adjectives, verbs vs. nouns, etc. 10 pages, in alphabetical order, with contents and answer KEY. Some examples: access/excess - matter/mind/care - plane/plain - which/witch – road/rowed/rode – break/brake, etc.